Bet Bryson DeChambeau at 18/1 (eight places) with PaddyPower. Bet Luke List at 90/1 (six places) with Unibet. Bet Matt Every at 85/1 to be 1sdt-round leader with Betfair. Twelve months ago, Tiger Woods made his first return in five years to Bay Hill for the Arnold Palmer Invitational and was asked for his thoughts about the venue. “The course sets up well for my eye and I’ve had some success here,” he said, words which might well rate as the greatest golfing understatement in the 21st century because he won the event four times in a row from the year 2000 and then added back-to-back triumphs in 2008-09 and 2012-13. 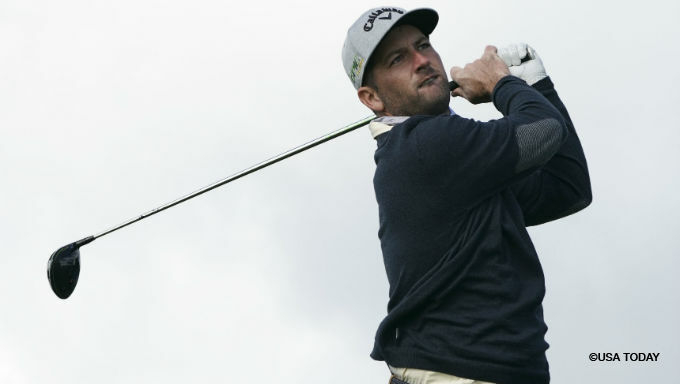 He was eventually fifth last year, but has since then won the Tour Championship and was feared by the bookies and the likely choice of plenty of golf betting fans. But on Monday, Woods was forced to withdraw due to a neck strain, opening the door for some other fine options. Bay Hill has been hosting this tournament since its inception in 1979. The course was designed in 1961 but has had plenty of tweaks down the years, the most extensive of them coming in 2009 and the handiwork of Palmer himself. The quick greens have Bermuda grass, whilst the blustery Florida wind is a constant factor and possibly the most important factor beyond those greens. Decent course form helps. Rory McIlroy had finished fourth ahead of his win, 2017 champion Marc Leishman had been third in 2011, and Matt Every won back-to-back in 2014-15. Outstanding form heading into the week has not been essential, but winners tend to have proved themselves in Florida (often recently) and also notch their best recent golf on Bermuda greens. An intriguing note for in-play bettors: You have to scroll all the way back to 1997 winner Phil Mickelson to find a champion who emerged from off the pace. Since then every winner was T3 or better after 54 holes. A week off might be just what the doctor ordered for DeChambeau, who ended a run of 10 straight top-20s (including four wins) with T56th in the WGC Mexico Championship. Throughout that spell his putter had been hot, never once needing more than 1.75 putts per Green in Regulation and most often needing less than 1.7. On the bumpy Poa Annua greens in Mexico he was nowhere near those numbers and famously drilled his putter into the grass in frustration, ending up looking less like a scientist and a whole lot more like a construction worker. A return to Bermuda greens should suit. He ranked third for Putts per GIR on his course debut in 2016 (when T27th) and last year he proved his long game was also a neat fit for the test when first for Ball-Striking and Total Driving on his way to second place. He’s 18/1 with PaddyPower (eight places). Last week’s Honda Classic would have been tricky for Luke List because 12 months earlier he missed out on a first PGA Tour title in a play-off against Justin Thomas. But now that experience is over, he can kick on and this is a great spot for that to start because 12 months ago he ranked second for greens in regulation on the way to finishing T7th. Since he established himself on the PGA Tour in 2015 nine of his 12 top-10s have been on Bermuda greens and he plays well when it is blustery. His current run of form is surely a coincidence, but he keeps making cuts then missing them so the fact he had a spare Saturday and Sunday last week is no major worry. He’s due and 90/1 with Unibet (six places). If it was something of a surprise when the 35-year-old won this tournament for the first time in 2014, it was something near to gobsmacking when he successfully defended the title. Ahead of that second success he had only once finished better than T39 in 17 starts (and that was T27th in a 34-man field). However, prior to the first win he was in nice form, landing seven top 15s in 14 starts and he’s nearing that kind consistency again, albeit on both the first and second tier. Seven of his last nine starts have been top-25s, and notably he is getting off to fast starts, only once in that run not breaking 70 in round one and four times being top five after 18 holes. He’s on record as saying that the course reins in his attacking instincts (in a positive sense) and that the support from family and friends who live close-by is a huge benefit. He can be backed at 85/1 to be the first-round leader with Betfair and 9/2 to make the top 20 with Unibet (he’s 4-for-4 this season on the PGA Tour).